← Do the French really do it Better? Gary Grunner of Grapes on the Go invited me to the first event of his First Look Series. Held at the Manhattan Club, a private club in NYC, the First Look Series features wineries that Gary will be importing over the next year. 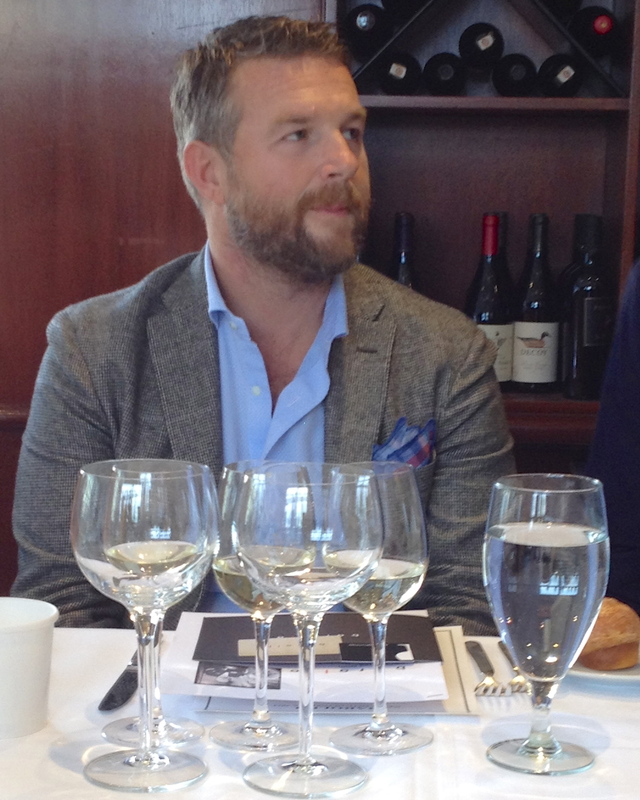 The wines for this first event were from the Società Agricola Barollo Marco e Nicola. 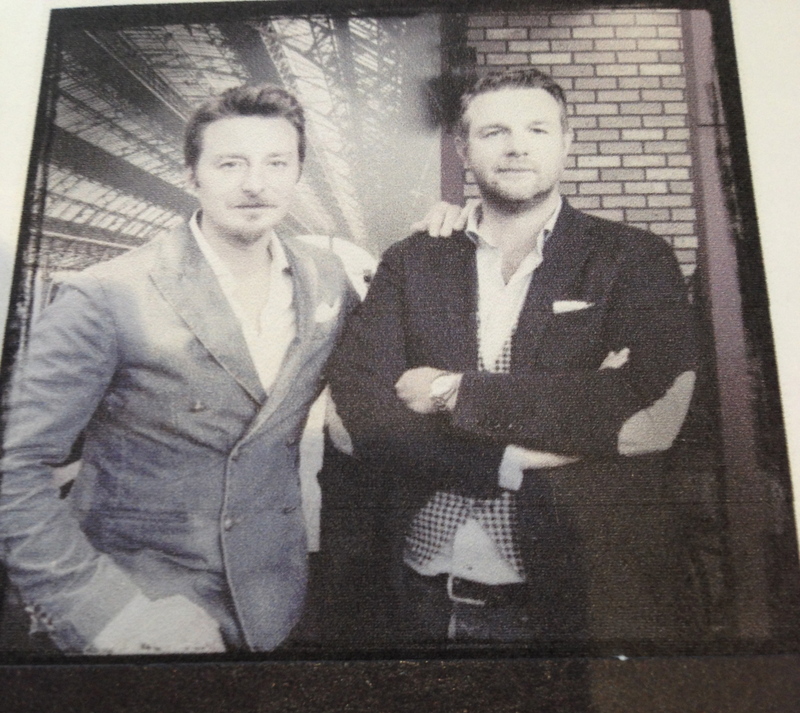 Marco Barollo represented the winery. The winery is located in Preganziol, near Treviso in the Veneto. It is near the Adriatic Sea and the Dolomites are visible in the background. Marco said that 45 hectares are planted with vines.The grapes are harvested by hand and it takes about 20 workers to pick the grapes from one hectare of vines in a day. The wine presses are located near the vineyards so that the grapes remain intact right up to the time they are pressed. Marco said that his wines reflect the terroir and the grapes that they are made from and therefore go very well with food. All the wines are fermented in 300HL stainless steel tanks. There was only one wine that was in barriques which were made of Allier oak by a barrel maker in Burgundy. The goal of the winery is to reduce their ecological footprint and CO2 emissions. Sauvignon Blanc 2013 100% Sauvignon Blanc. There are 5,080 vines per hectare, the grapes are hand harvested. Soft pressing, settling, traditional fermentation in temperature controlled stainless steel tanks. Three months in bottle before release. This is a subtle Sauvignon Blanc, with nuances of grapefruit, lime, current, citrus and herbal notes of grass and minerals. A slight trace of tomato leaf can be found in the finish. The wine was served with cold poached shrimp, yellow squash, baby kale, tomato confit and champagne vinaigrette. The wine and food matched very well, especially since kale can be very hard to match. 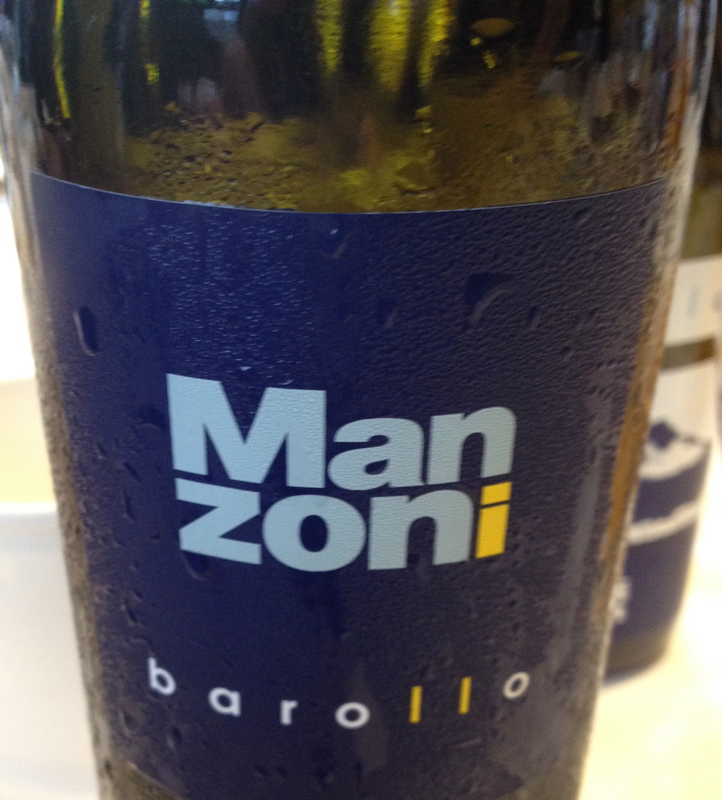 Manzoni Bianco 2012 100% Manzoni Bianco. There are 5,000 vines per hectare and the harvest takes place in the middle of September. There is a soft pressing of the grapes, part is fermented in temperature controlled stainless steel tanks and part is barrel fermented with daily batonnage. The wine is in bottle for 6 months before release. 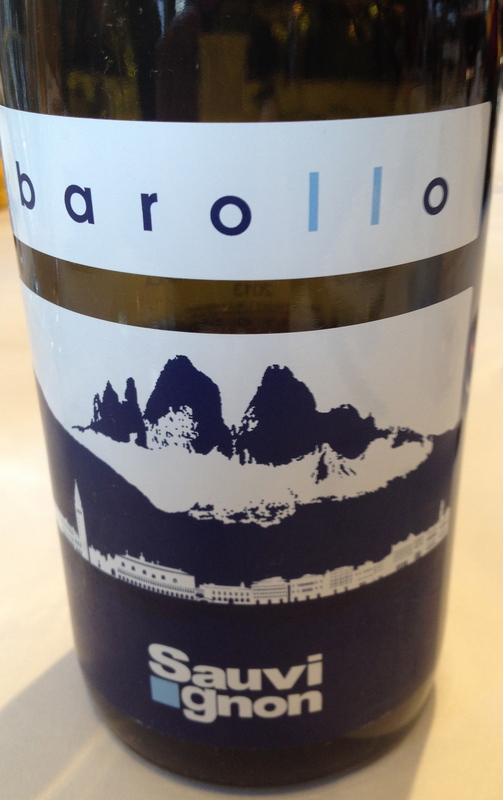 Marco said that this white wine is the exact replica of one of the most famous wines created and developed by Professor Luigi Manzoni, Dean of the Winemaking School in Conegliano. Manzoni conducted a series of experiments in the 1930s on genetic improvements to the grape through crossbreeding and hybridization. 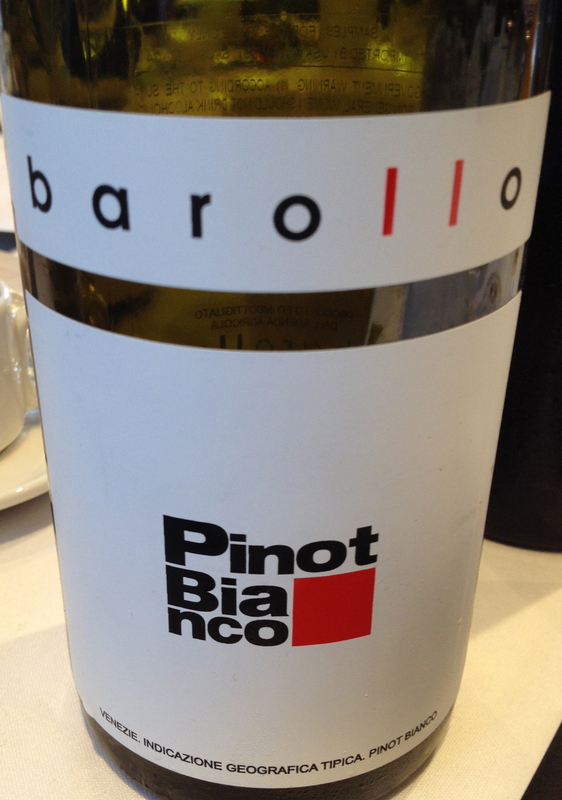 Manzoni Bianco, an indigenous grape from the province of Treviso, was created by the genetic crossbreeding of Riesling Renano and Pinot Bianco. 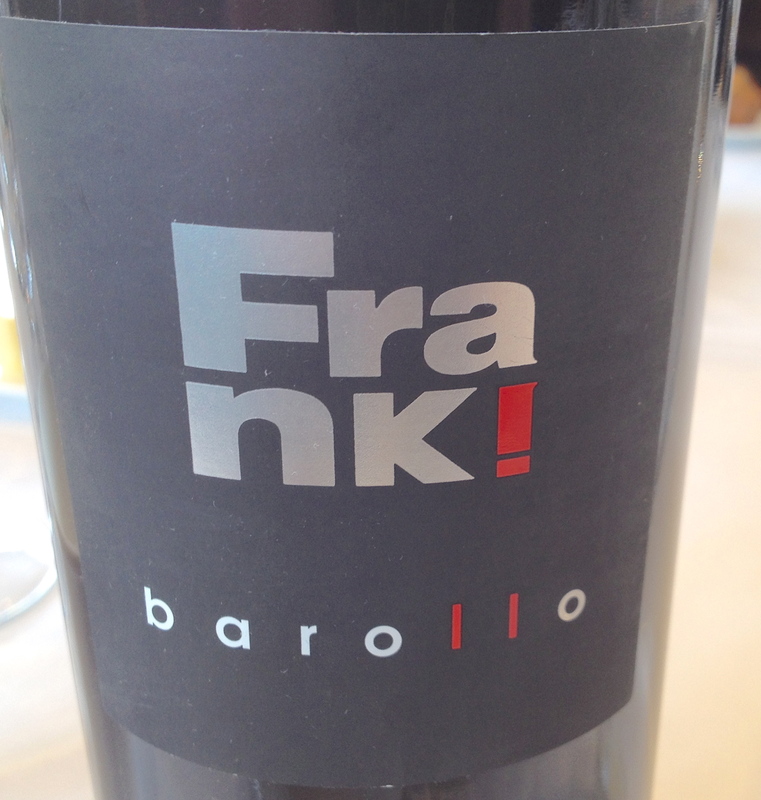 Frank 2010 100% Cabernet Franc There are 5,100 plants per hectare and the grapes are hand harvested the last week of September. Maceration and fermentation lasts for 15 days with daily pumping over, devatting and malolactic fermentation taking place. The wine is aged for 12 months in barriques, of Allier oak, 1/2 new and 1/2 second passage and in bottle for 6 months before release. 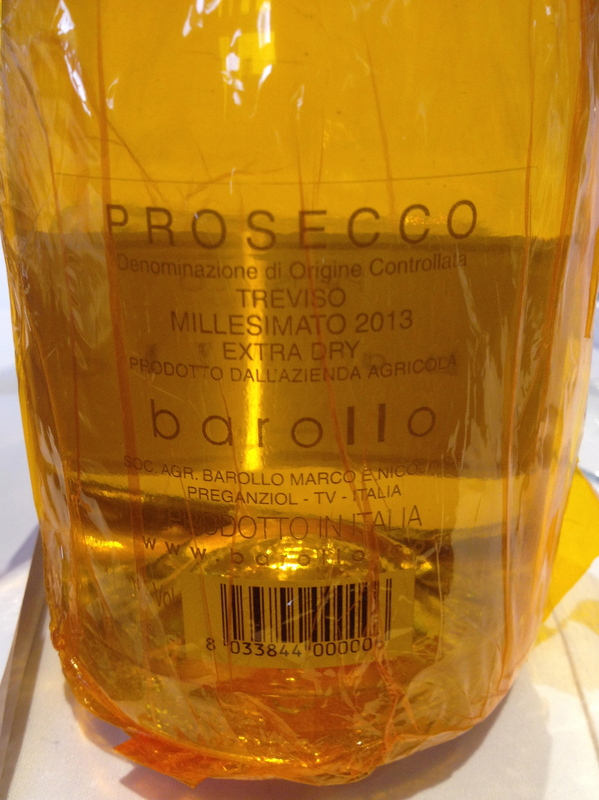 Prosecco DOC Treviso NV made from100% Gela from manually selected grapes. The soil is medium grained with limestone and clay. Training system is the syloz, this is a trellising system where the canes bend downward a few weeks before the harvest. There are about 2,700 vines per hectare. Harvest takes place the first week of September. The Charmat method consisting of a natural fermentation in bulb tanks takes place and lasts for 90 days. Aging is for another 3 to 4 months. The wine has a light golden yellow color with hints of acacia flowers and fresh aromatic notes of yellow apple and peach. It has a nice fruity aftertaste. The Prosecco was served with a mini pastry platter consisting mostly of little bites of chocolate. It was unusual to serve the prosecco last but it made a very refreshing end to the meal and went very well with the chocolate. This was an enjoyable tasting with wine and food pairings that were well thought out. I am looking forward to the next event.